Last week I shared a picture of my brand new pink "mate" on Instagram, and of course it wasn't long until the question "What is that?!" came up. Well, I guess you could quickly say "Mate" is to Argentinians as tea is to an English person. 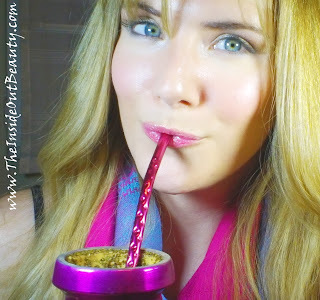 "Mate" is a traditional Argentinian infusion or drink prepared from steeping dried leaves of "yerba mate". Though we call it yerba in Spanish ("herb" in English), these leaves actually come from a tree and not an herbaceous plant. What's really particular about this beverage, is that we serve with a straw from a hollow calabash gourd, that in my case as a metal pink paint coat. Now that straw is not just any straw, it is metal and has a little filter or holes on its end so that we don't drink the the dried leaves, as we take a sip. Besides the many health benefits of drinking mate, one of the things that differentiate it from any other infusions all around the world, is that it is meant to be shared. Happy Friday my Inside-Out Beauties! I always find myself looking at this type of posts, so here's mine! 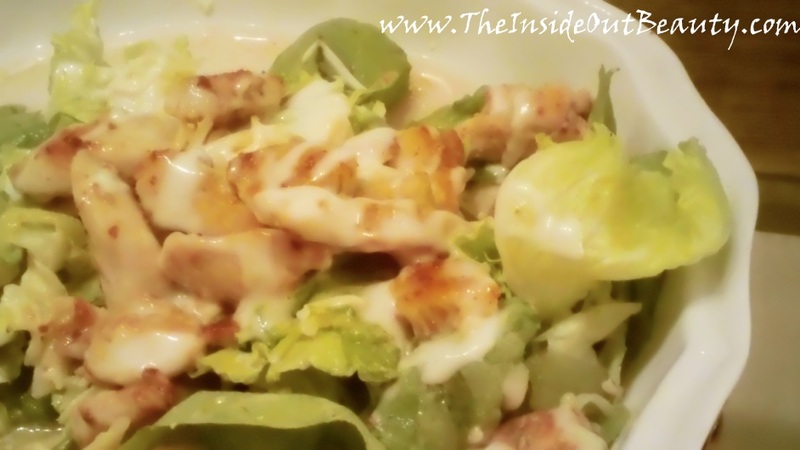 Love Chicken Caesar Salad, don't you? So here's how I prepared this one! 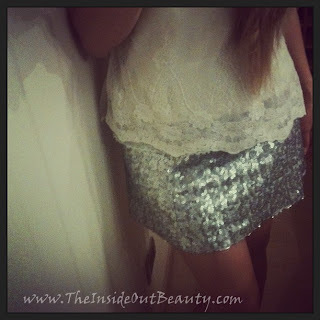 FASHION | Outfit of the Night (OOTN) What I wore to my hubby's Bday Party! If you're following me on Twitter, you may already know that we hosted a small party to celebrate my husband's birthday, so I thought I might as well take a few Instagram shots to show you guys what I wore that night! VLOGGING | How to Get Featured on My Youtube Channel ! Do want to get YOUR Channel Featured on My Youtube Featured Channel's list for 1 month? I finally uploaded a new video today, after a long 10 days of being MIA (you can watch the video to learn what happened to me!). On this video, I'll be sharing the stories behind my favorite Fragrances/Perfumes divided by occasion. It's kind of fun, because there's a little anecdote behind a few, so I think you will enjoy it! I believe the reason for that is that our brain tends to link scents to memories, or at least that happens to me all the time! 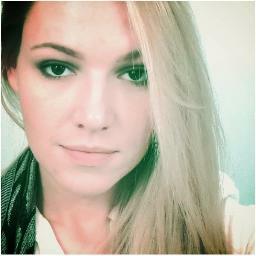 TWITTER | #HeyHeidi New Twitter Q&A section! Something good always comes out of any "obstacle" challenge or negative situation we face. 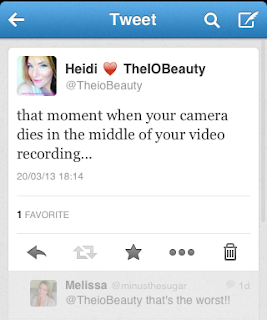 And that was the case when my camera died last Wednesday while I was in the middle of filming my video. Now, before you say so... Yes, I had charged it beforehand! I have a feeling the battery is having a shorter life recently. Well anyways... I was all set up, and couldn't possibly film for at least another 3-4 hours... So I just tweeted it, to share my frustration! But, as I anticipated on my first line, I was able to turn things around and make the most of my time. INNER BEAUTY | How to be Happy - 3 Things you can start putting into Practice NOW! We fill our life with endless goals: school, career, wealth, recognition, etc, etc, etc... But do we really focus on how our goals should be aimed at what makes us happier? Here's the first of what I'm hoping will be a series of "How to be a little Happier" posts. I'm thinking of this as an exchange as, hopefully, you'll be leaving me your tips and learnings in the comments, so we can make this a two way thing. Like many of you, I try to learn how to be a little happier, every single day, and this has become my main objective in life for a while now. A few days ago, I posted an Outfit inspired on my Pretty in Pink Look/Tutorial video. Well, things have been so hectic around here, for numerous reasons, that I never actually managed to post my pictures and additional info on the products used for each step of that video. So...Better late than never, right? Let's jump right into the Steps to achieve this Look! I'm so happy to have started blogging and making videos, because I have met some awesome girls in the Blogging and Youtube Communities. 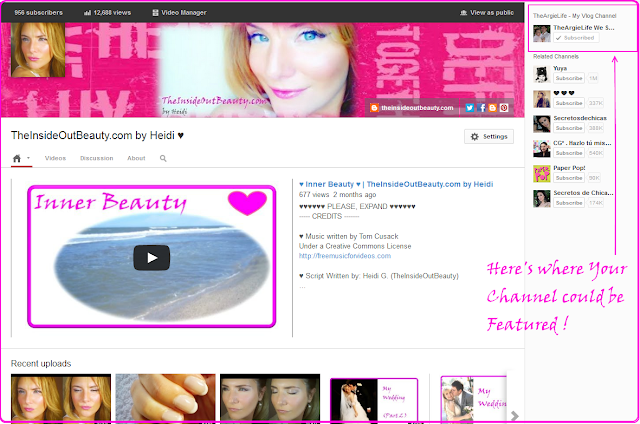 So I thought it would be a great idea to "share" my Blogging and Youtube friends with you guys too. I think I have a special gift when it comes to selecting deep and interesting souls to be around me. Girls that you will hopefully enjoy reading about and getting to know better. My first and very special guest is Jodi Aaby, a true inside-out beauty! 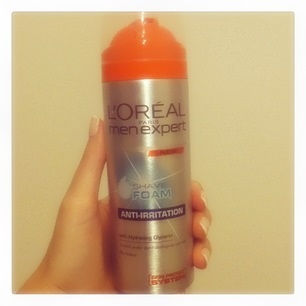 BEAUTY | L'Oreal Products for Him! Here's a completely different post! 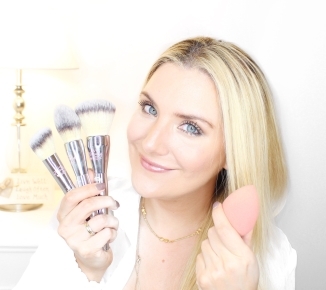 Today I'm sharing with you products for HIM! So if you're in love, either married or just living together with your boyfriend, you probably have found yourself buying a few items for him. And the reason for that is that VERY few men do this for themselves. That said, let me tell you my story with L'Oreal Men Expert line. My husband, just like me, is terribly allergic and has very sensitive skin. He is so allergic, that he cannot use any products containing alcohol. And that includes perfumes! He just sprays them on his clothes, instead of his skin, to avoid getting terrible skin redness and rashes. That said, you can now imagine his skin after shaving! 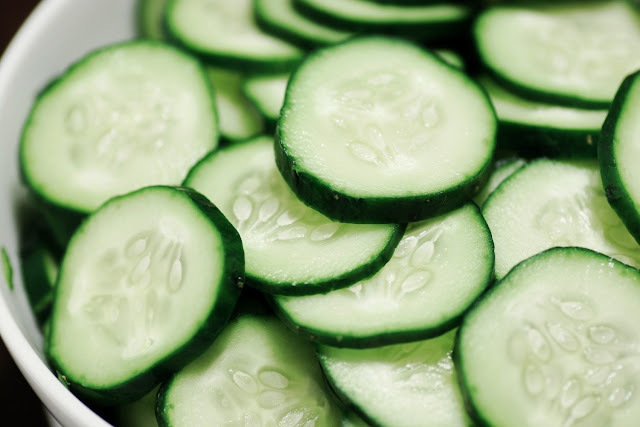 FOOD | Cucumber: A Health & Beauty Ally... in your Grocery Store! As I always say, true beauty comes from the inside-out! Just like you saw in my Green Tea post, natural foods are a great ally for both health and beauty. Now, let me introduce you today to the benefits of Cucumber! So here's my first OOTD post! And this was requested by Fareena (TheUltimateFind Youtube Channel). Thank you Fareena! Let me go in more detail into this "Pretty In Pink" Outfit of the Day! REAL LIFE | Healthy Lunch on The Go! Today I wanted to write a post on nutrition/food, since I haven't in a few days now. And I wanted to discuss something that we all worry about on our daily challenge of remaining healthy... and that is: healthy on the go, fast food alternatives! Lunch is that time of the day that is SO CRUCIAL for me. By noon, I usually need to get some air, and renew my energy to be able to finish my day nicely, but I also need to eat light and healthy, so that I won't feel sleepy during the afternoon, and my productivity doesn't slow down. 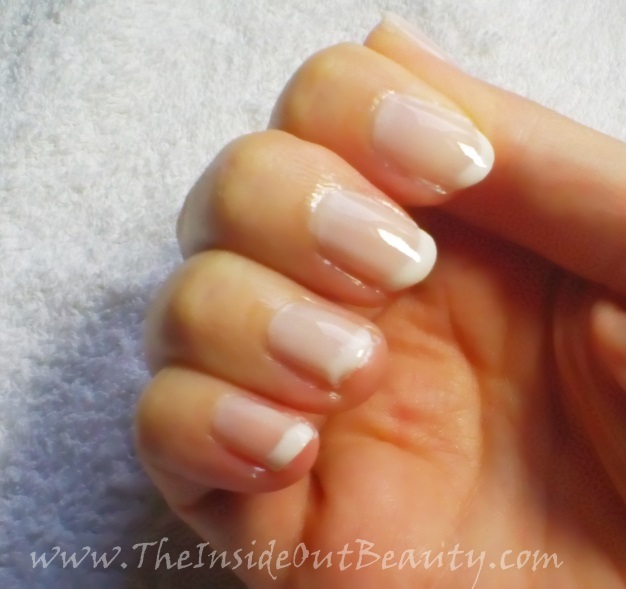 French Manicure can be made easy! Even if you're clumsy and have shaky hands like me! These are the steps and products I use to make my French Manicure look professional, even though I'm not even close to being an expert!